A streaky foundation never looks good, neither does one that looks cakey, clings to your dry patches, or slides off your face during half the day. A good foundation looks natural, blends in with your color and other products, provides you an uplifting glow that lasts all day, and in place! 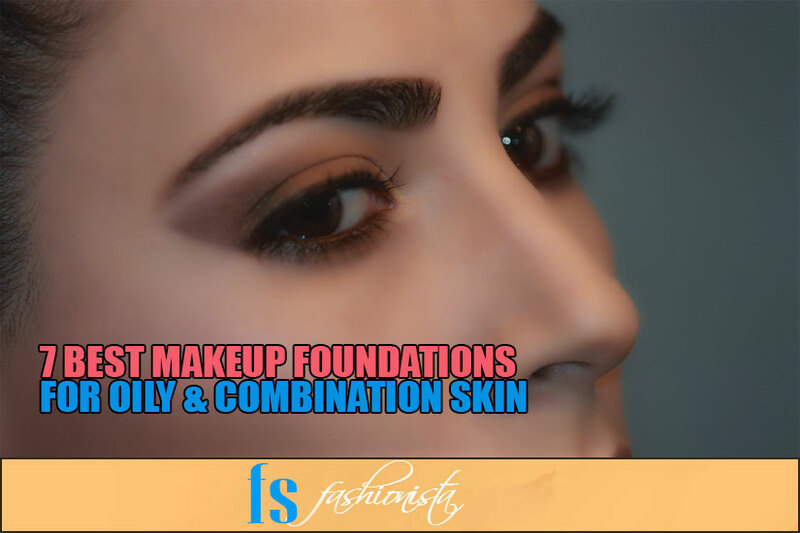 When choosing your makeup foundation; coverage and formulation play a huge role. It’s probably not the best idea to use a light coverage foundation when you want to do a full glam look and hide all the imperfections on your skin. Whether you want full or light coverage, you must first know what kind of foundation works for your skin the best and gives you the finish you’re looking for. I have not personally reviewed every product on this list on my blog, but all of this stuff is on my wishlist, and you will be reading my review on them pretty soon. Starting from affordable drugstore foundations, the Maybelline Fit me foundation is a Holy Grail item. The foundation comes for both dry and oily skin types and has a buildable consistency. It is definitely the best foundation to use if you want to go with something that won’t empty your pockets for the rest of the month. 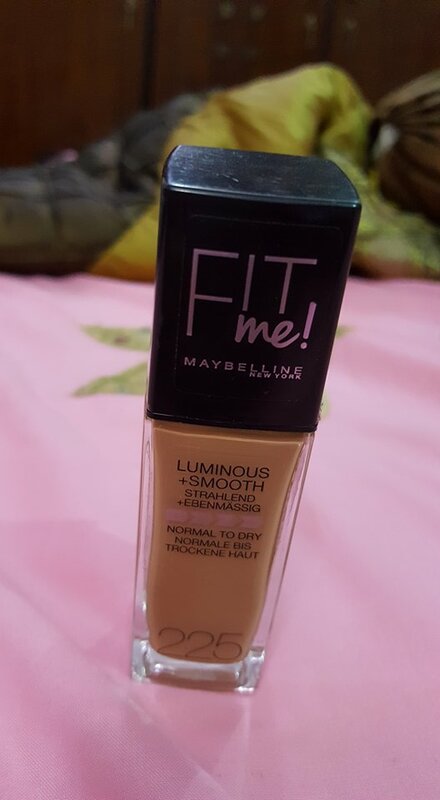 The Maybelline fit me foundation is also great for people who have more of a combination skin. You won’t see oil on your skin for several hours, and you’ll never have to worry about those dry patches. The foundation comes in a huge range of shades so whether you’re as pale as white chocolate or dark as a brownie, you can surely find the color that matches you perfectly. If you’re not one for liquid foundations, fear not, you can find this Holy Grail item in a stick as well. The Maybelline foundation does not oxidize whatsoever and only needs to be blotted hours from when you put it on. Even if you don’t blot it, it won’t make your face look like an oil slick, just give you a tiny bit of glow. A lot of people still believe that BB creams and CC creams are foundations but well, sadly, they're not. However, the Covergirl Clean Matte BB cream is so good that I just have to talk about it. The Covergirl Clean Matte BB Cream is my next choice for drugstore foundations for oily and combination skin types. It is extremely inexpensive, so even if it doesn’t work out for you, you wouldn’t have wasted a ton of money. However, I strongly recommend this if you want something you can quickly put on your face before running out the door. It provides a decent amount of coverage and does not make you look too dry, oily or settle into your fine lines. There’s no need to set this foundation either, and it goes on like a moisturizer. Sinks into your skin provides coverage and is low maintenance. What more could you ask for a foundation or BB cream for a casual day out? It’ll keep you matte but not dry, and there’s no need to reapply or powder often. This is definitely a foundation to invest in if you work out or are exposed to environments that make you sweat as it won’t clog your pores of course, just slide and transfer everywhere. The name may sound like too much to invest in for just a foundation, but you must. Foundations are the base of your makeup and if that doesn’t sit well on your skin, nothing else will. 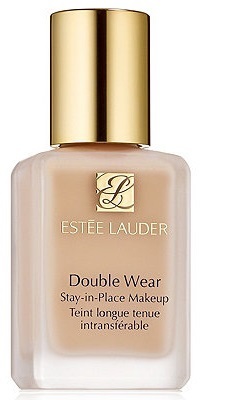 The Double Wear foundation is definitely higher end, but it is totally worth the buy. Whether you’re in the heat, humidity or sweating, this foundation will keep your makeup in place. It does exactly what its name says. If you want to look flawless and natural and the same time, take a look at the Estee Lauder Double Wear Stay-in-Place Makeup. Its full coverage has a smooth consistency and sits on your skin as if it were a part of it, without it feeling like you’ve caked on products. The Estee Lauder foundation won’t change color, smudge, or transfer no matter what. It feels very light on the skin, allowing it to breathe and making it comfortable to wear for longer periods of time. With a wide range of color, you will definitely find one that goes well with your skin tone. If you’re looking for a healthy, full coverage glow, this is the foundation of your dreams. You only need a tiny bit of it for a casual day, so a repurchase of this 30ml bottle will take ages. 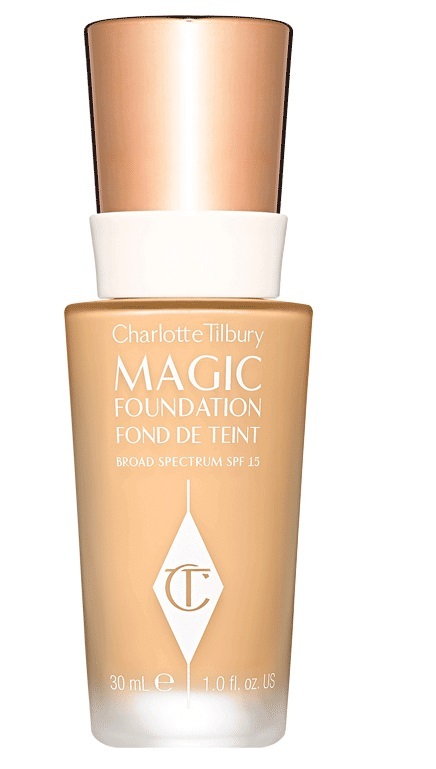 If you’re looking for foundations on the higher end, consider Charlotte Tilbury Magic Foundation a tough competitor in your list as well. Charlotte Tilbury is known for her magic cream, it does wonders. The same is to be expected and rightfully delivered by the Magic Foundation. The foundation is weightless, full coverage and long-lasting. It has a demi-matte finish, so you’re not looking super dry but not like a greasy fried chicken either. The foundation has wonderful undertones and a number of shades available. It comes in a pretty standard 30ml bottle, with SPF 15. Like the rest of the Charlotte Tilbury brand, it is suitable for all ages, especially women with more mature skin. It glides on like a dream and looks beautiful on the skin. Perhaps the only trouble with this foundation is that it may not last you as long. It can take a bit of product to get it to that full coverage really, but you never have to worry about the product making you look cake faced. If you like to control the coverage of your foundation and are a fan of the classic Charlotte Tilbury products, this one will be a nice little treat for you. 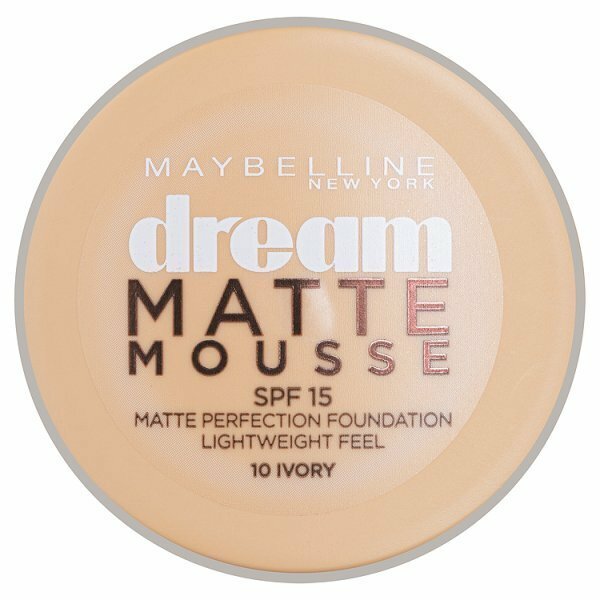 Back to a more affordable option, the Maybelline Dream Matte Mousse Foundation is quite impressive. Maybelline as a brand alone has some robust products that actually work better than some higher-end products. If you want quality products at a more affordable price, definitely put some Maybelline on your list. The Matte Mousse Foundation is water based, noncomedogenic and specially formulated for oily and combination skin. It gives you a nice, satiny-velvet finish without clinging on and showing off your problem areas. If you’re in front of the camera a lot, just a fan of selfies and snapchat, perhaps, you should invest in some of this heavenly product. 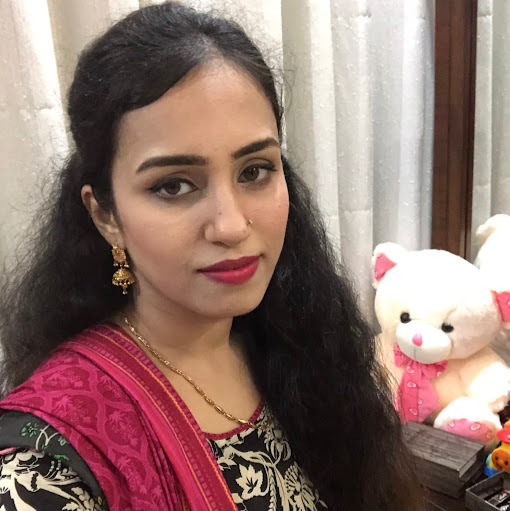 The foundation stays on for around 5 hours which yes, is less for some long-wearing makeup enthusiast but the finish it provides cannot be ignored. Quite reasonable in price, of course, with a good amount of colors available, you won’t have trouble with this foundation at all. Unless you’re a dark-skinned girl, in which case, you’re going to have to find another foundation as the Maybelline Dream Matte Mousse foundation does lack a bit of the chocolatey colors. However, still, a must buy for women with light to medium skin tones. Cover FX almost has come out of nowhere. In the past few years, their products have been blowing up, and they are now known for some of the best full coverage products available in the market. A thin layer of this foundation is enough to cover all your blemishes and scars. It comes in a tube so you know you can squeeze out every last bit of this incredible foundation before ordering it again. 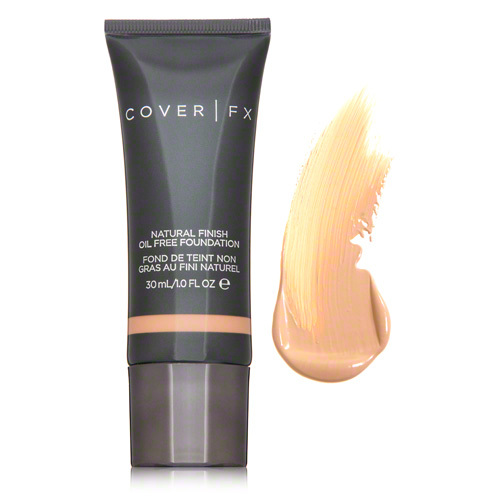 The Cover FX Natural Finish Oil-Free Foundation is pricier than any other foundation on this list, but you will never regret it, I can say with a full guarantee. It has everything anyone would need in a full coverage foundation. You can apply it to give you a medium coverage or build it up with very few layers to a full coverage foundation. Perfect for night outs, and glam days where you want your makeup to stay in place all day. This foundation was specially designed for individuals with oily or combination skin, and it can be a little drying if you have dry skin so don’t forget a moisturizer if you do want to give it a go anyway. It is truly oil-free and hydrating. You get a radiant, silky smooth finish with this foundation that you can comfortably wear all day. So far, we’ve focused mainly on high coverage foundation. For more of a lighter finish, try out the Rimmel Lasting Finish 25H Foundation with Comfort Serum. At $7, it is a bargain you won’t find anywhere else, that will lightly cover your skin to only hide your problem areas but still leave your skin looking and feeling how the skin is supposed to feel like. Transfer, sweat and humidity proof that can last for longer times is actually very impressive, particularly in the price point. It’ll blend seamlessly, no streakiness, or problems that make a terrible foundation. If you are new to makeup, or very young, this one has to be your best find. It’ll give you enough coverage, without feeling too much so you can get used to wearing makeup before moving on to the heaviest of foundations. That’s the last of my recommendations, and I sure hope you give at least a couple of these a fair chance.